Order a small for a correct serving size. Even better? Share! Order fruit as a topping. Go heavy on the fruit and light on the fro-yo. Skip the chocolate cookie bonanza toppings. Pick true original fro-yo...not necessarily flavored which probably has added sugar. Fro-yo is supposed to be tart, so let that flavor shine! First the bad: Cultured truly has limited parking in the downtown sector. If you're not familiar with this region, I suggest parking down the street (towards historic downtown) and walking a few blocks. Not so bad for some beautiful exercise! There is also little to no seating. It is all outdoors, so pick a good weather day! Unfortunately, the service at Cultured was awful for my first time. The employee working hardly spoke to me and was very chilly. What miffed me though was her limited ability to make change. Cultured is rather steep for frozen yogurt at about 4.85 for a small with two toppings. I gave payment so I could be given a dollar bill in return. This little lady proceeded to give me change...literally a dollar entirely in change back. Seriously? The Good: Cultured is true frozen yogurt with live active cultured. The ingredients are locally sourced, including the frozen yogurt makings from South Mountain Creamery. Fruit comes from local farms and the baked good toppings come from Mom's Apple Pie next door. Local is something I feel strongly about, so this really boosted how I feel about Cultured. The bottom line was that the product was good. It wasn't too tart or too sweet. I suggest ordering an in season fruit topping (I picked blueberries and peaches). Cultured also makes soups in the fall season. I'm interested to try these and report back. 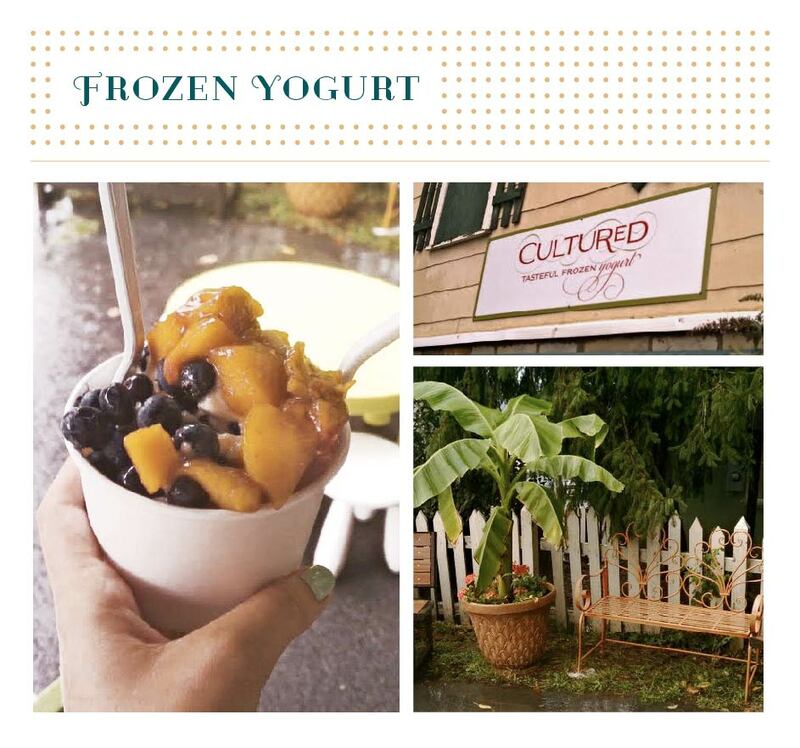 Do you have a favorite local fro-yo spot? What do you order?